You may have noticed that I was on a bit of a roll last weekend on the blogging front. For the first time in a long time, I published three new posts over three days. (Here and here and here.) My motivation has returned and I even have some more time on my hands to write more often. Unfortunately, my schedule has lightened for less than ideal reasons. 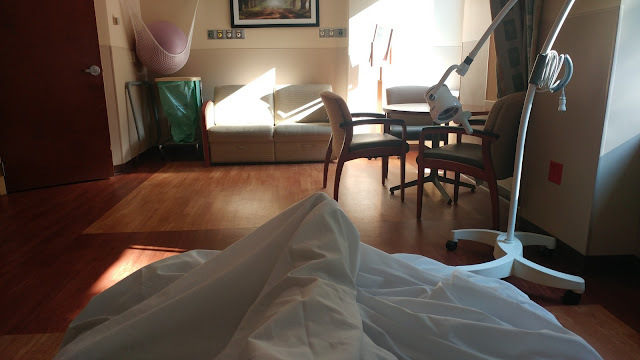 Most of you know that I endured a pregnancy-related scare last month that landed me in the hospital. After a period of monitoring, the doctors discharged me. But they gave me explicit instructions to come back to the hospital if I started bleeding again. Well, guess what happened last week. I woke up and discovered that I was bleeding. My next move should have been to go to the hospital, but I hesitated. It was a big morning for Caroline -- her first day in her new classroom at school -- and I didn't want to miss it. So, instead, I called my OB's office and left a message for the nurse (their office hadn't opened yet). Then I got ready for work per usual and drove Caroline to school. Stephen was home for a few days between work trips, and he was going to help get her settled in her new room. We anticipated that she'd be clingy, but she appeared comfortable right away. She joined the other kids and actually waved us off without skipping a beat. By the time I got to work, I had a message on my phone from my doctor's office. I called the nurse back and described my symptoms again. She wanted to review the information with the doctor and told me she'd call right back. Not five minutes later, she was telling me to wrap things up at work and to get to the hospital as soon as possible. Even though I wasn't feeling any pain, my doctor didn't like hearing that I was bleeding again. I actually giggled, but I could tell that something about the situation had caused a shift in the mood in the room. That's when I knew, without anyone saying anything, that I was not going to get the green light to leave. I was being admitted for the night. No arguments. The doctors wanted to see if the bleeding would stop and to get my contractions under control. What happened next was sort of a blur. They hooked me up to IV fluids. They pushed betamethasone, a corticosteroid that helps the baby's lungs develop surfactant. (Surfactant helps to keep the lungs inflated so that babies can breathe on their own after birth.) They also started me on tocolytics, including magnesium sulfate, to slow my contractions. By the middle of the afternoon, exhaustion and extreme hunger took over. I can remember begging the nurses for tacos as they moved me from my bed in triage to my room for the night. 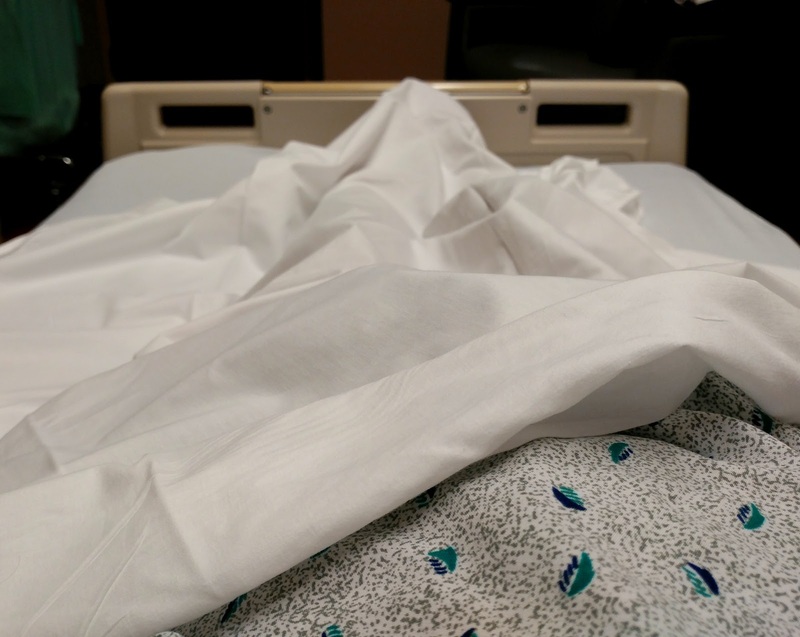 The plan was to rest and wait to see how my body reacted to the drugs. Aside from feeling sluggish from the magnesium sulfate, I felt okay enough to get some sleep. But everything changed around 3 in the morning. I was starting to feel my contractions and the bleeding was getting heavier. 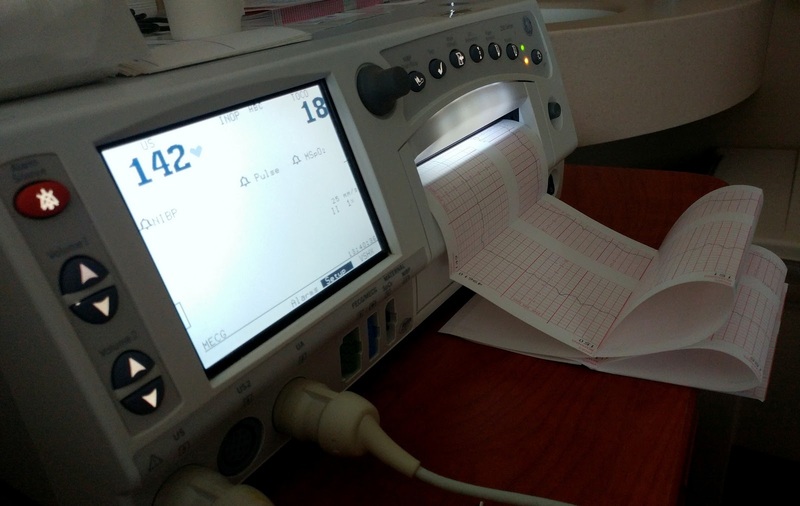 The possibility of needing a pre-term C-section skyrocketed in those moments... and I tried to stay as calm as possible to prevent my blood pressure from going any higher. Another internal exam revealed I had another blood clot. This one was more than twice the size of the clot I had a month ago. 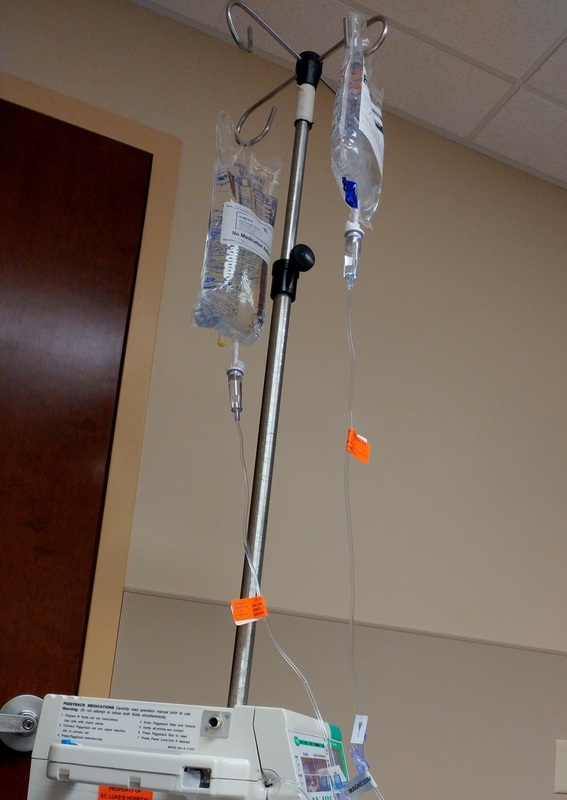 Once the doctor removed the clot, she decided to give me a different combination of drugs. That seemed to work and I was able to go back to sleep for a little bit before morning rounds. Unfortunately, the events of the evening concerned all the doctors in my case. Rather than tell me the news I wanted to hear -- that I could go home that day -- they told me the exact opposite. They were going to keep me in the hospital "for the foreseeable future". My brain understood what that meant right away, but it took a while for my heart to catch up. I have to stay in the hospital for the rest of my pregnancy. The goal is to get me to 36-37 weeks. Then they'll deliver the baby. And, as of right now, that delivery will be via C-section. So... that's where I've been for the past week and a half. In the hospital. And that's why I've had all that "free time" to devote to blogging. Writing helps keep my mind off the things I'm missing on the outside... from the special events to the ordinary, everyday ones. The list goes on and on. And, at times, being in here is overwhelming. But as hard as it is, I know that having me stay in the hospital was the right call. I just have to think of it this way -- a day in the hospital for me means a day in the womb for the baby. And the longer he's in the womb, the better. So, if you can... keep sending me those positive vibes. I'll take all the positive I can get! PS. For those of you wondering about this photo I posted to Instagram the other day... The photo was proof that my doctors gave me permission to go outside. A blessed development after being inside for more than a week!